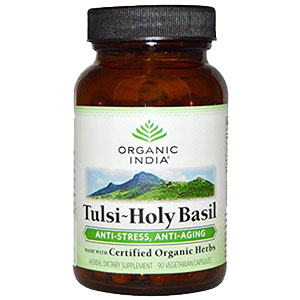 Holy basil, also called "tulsi" in Ayurvedic herbalism, has been one of the top herbs utilized in East Indian therapies for centuries. 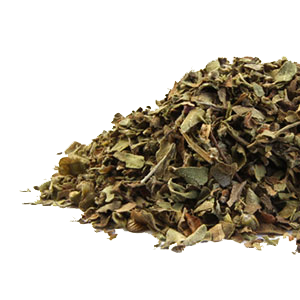 Known for its versatile and potent medicinal qualities as well as its tasty flavor, it is most commonly prepared as a tea infusion. Now also becoming increasingly popular here in the West, it is definitely one of those "rasayanas" or rejuvenating tonics that is worth testing out for yourself. 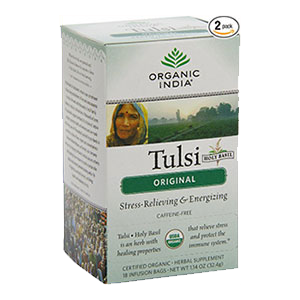 It makes a delicious hot morning beverage and offers a broad spectrum of benefits suitable for most body types. 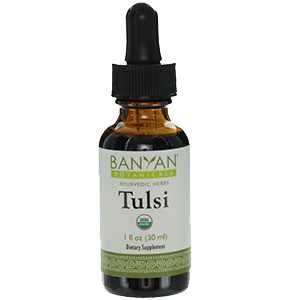 Also spelled and pronounced "tulasi", its Sanskrit name means "the incomparable one", signifying its multi-purpose benefits as a both a sacred and therapeutically valuable herb. Indigenous to the subcontinent of India and tropical regions of Southeast Asia, the Ocimum sanctum (Ocimum tenuiflorum) plant species is a green leafy plant similar in appearance to that of culinary basil, Ocimum basilicum. It is often in fact confused with basil, but is not the same species. 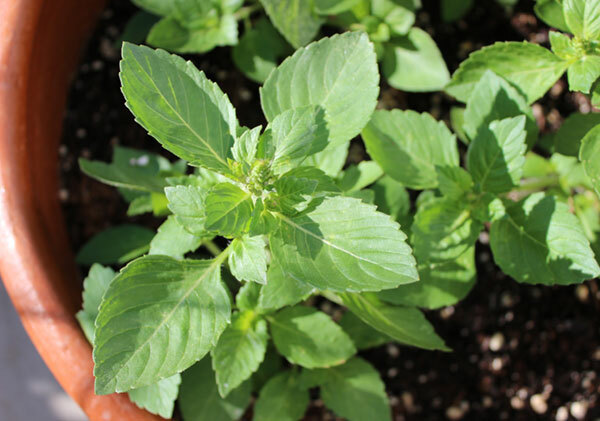 Although it is sometimes used in Thai cuisine, referred to as "Thai holy basil", it is a different species from the popular culinary herb known as "Thai basil", a variety of Ocimum basilicum. The fragrant fresh leaves and steeped tea is often described to have a flavor similar to a combination of clove, mint and anise. Keep in mind that holy basil is a very easy plant to grow as a perennial in the tropics or as an annual in temperate northern climate zones. 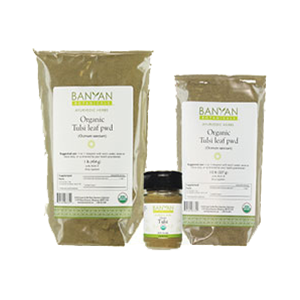 The three most common types of holy basil are called Rama, Krishna and Vana. 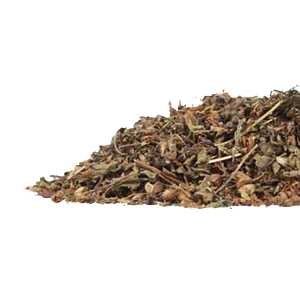 They are often combined together, when sold as a dried herb, for highest medicinal value. Rama is by far the most popular variety. Krishna, with its purple tinged leaves and stems, is next in line while Vana, a wild species, is used less frequently in India. Vana (Ocimum gratissimum) is, however, the main species utilized in East Africa and parts of the Caribbean. 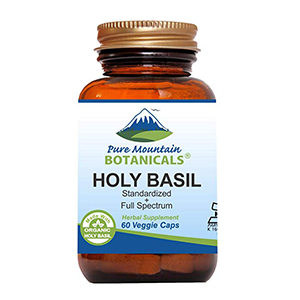 Holy basil is also conveniently available as a powder, capsule, tablet or liquid solution and can be used for a wide range of conditions. 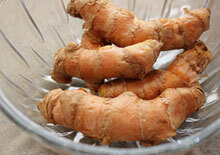 Here on this page, we touch upon the top two health enhancing benefits of this powerful herb. Holy basil leaves are among a group of herbs classified as "rasayanas" in Ayurveda, known to possess adaptogenic properties. 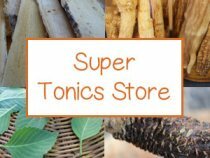 These are herbal or plant-based substances that help to increase the body's resilience to chronic daily life stress, trauma and bodily fatigue. They, in essence, make one more "adaptable" to its negative impacts, offering potential anxiety-relieving attributes. 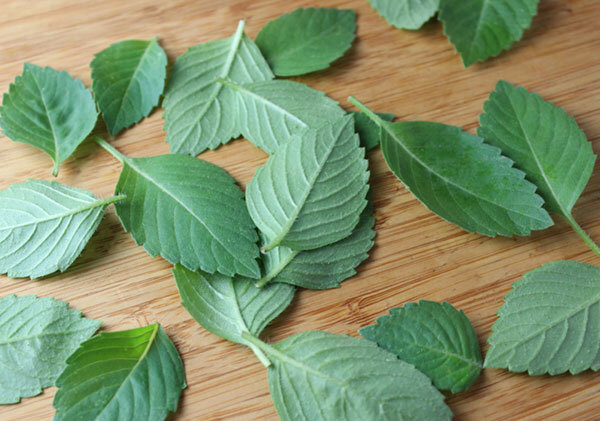 In other research on mice, alcohol extracts of holy basil were found to exhibit "anti-anxiety and antidepressant properties" and was concluded to be a "potential therapeutic agent against mixed anxiety and depressive syndrome." 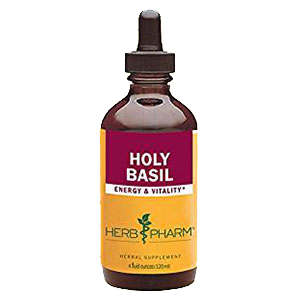 Holy basil acts as a non-caffeinated herbal energizer, yet it is calming to the nervous system without having a sedative effect. 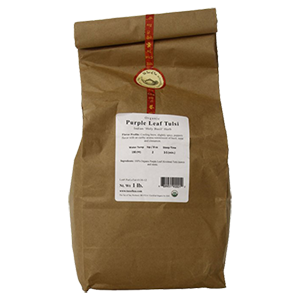 Traditionally used in East Indian Hindu culture, it is considered a premier Sattvic herb, consumed as a daily tea for both medicinal as well as spiritual purposes. In Ayurveda, Sattva is one of the three "Gunas" that is believed to offer peaceful and balancing qualities. 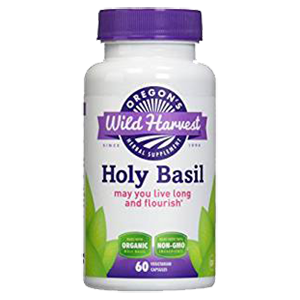 Likewise, regular use of holy basil can be nourishing to the adrenals. Long-term coffee drinkers or anyone recovering from adrenal fatigue, could find teas, powders or capsules very therapeutic for such purposes. Holy basil tea infusions, using prepared bags or loose dried leaves, make a great tasty hot morning drink. 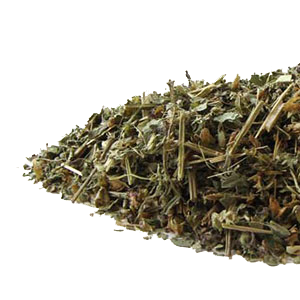 We often blend the fresh or dried leaves with other naturally stimulating herbs like gynostemma, gotu kola and ginkgo. 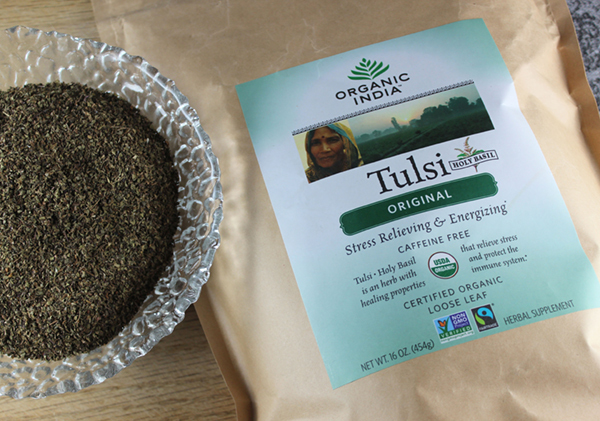 Tulsi can be a great herbal ally for today's busy modern-day lifestyle, helping one to cope with stress that comes with overwork, overwhelm or a general feeling of "ungroundedness." It is particularly appropriate for Vata body types or imbalances. 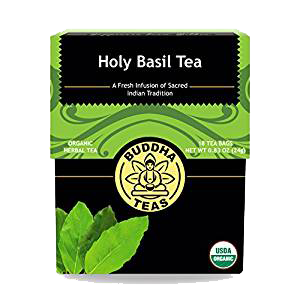 Holy basil is a sacred Hindu herb traditionally grown outside of one's home to purify and protect the household. It is associated with the god Vishnu and sometimes regarded as the earthly embodiment of Lakshmi, the goddess of wealth and prosperity. The plant with its aromatic essential oil condensed leaves, stems and blossoms is viewed as both spiritually as well as physically cleansing to the body. 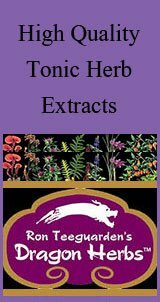 These elements, plus various triterpenes and antioxidants, like ursolic acid and rosmarinic acid, were additionally shown to offer an antiseptic, analgesic, anti-inflammatory and antioxidative influence. Its combination of specific phytonutrients and warming nature promotes healthy circulation and helps remove excess kapha (or phlegm) from the lungs and upper respiratory tract. Teas are likewise consumed to help reduce ama or toxins, assisting in the body's natural detoxification process. 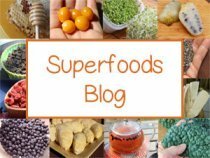 Supplementation can also help to protect against any number of modern-day environmental toxins that we are all invariably all exposed to in our daily lives. 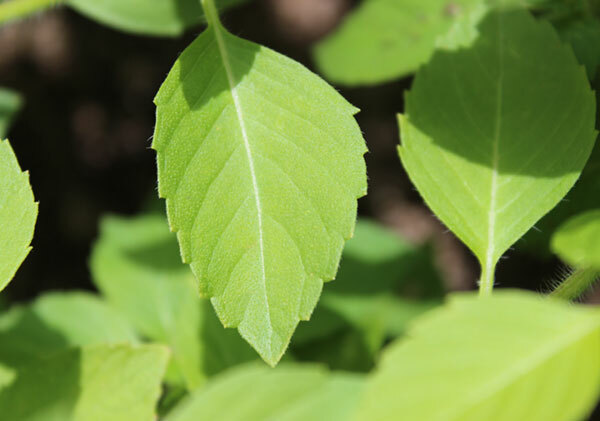 In the same way holy basil teas and extracts protect and modulate immune response, they are also considered to be radioprotective and beneficial for repairing damage due to higher intensity radiation exposure. In 2014 research, two antioxidant flavonoids isolated from holy basil, orientin and vicenin, were identified to be two of the primary compounds responsible. 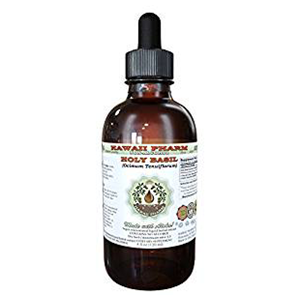 Holy basil is most frequently consumed as a tea, especially in India, but it is also available as a tincture, capsule or in tablet form for greater convenience. 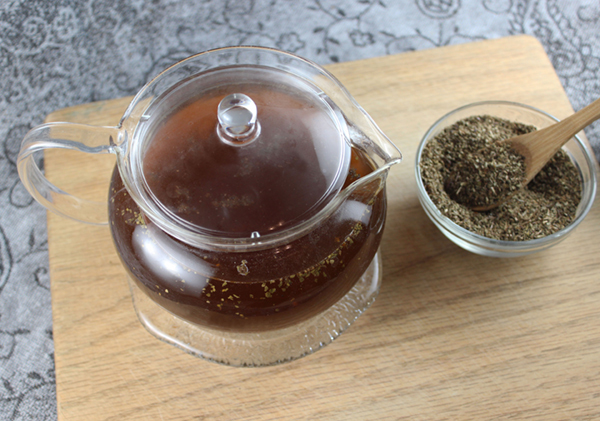 Dried bulk leaves or ground powders can be simply added to hot water infusions and left to steep for 15-20 minutes. The tea also makes a great herbal iced tea in the summer seasons. 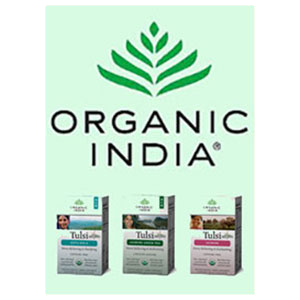 Generally, 2 teaspoons of dried leaves or 1 teaspoon of powder per cup of hot water will offer a good therapeutic dose. 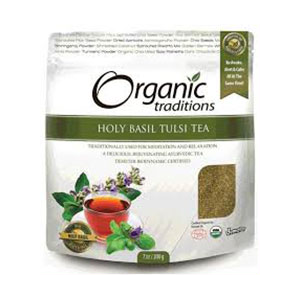 We actually prefer a stronger holy basil tea using 1T of the dried herb. Remember that the bulk herb can also be blended with other herbs and spices as well as utilized with many cleansing herbs, like milk thistle and dandelion root, when preparing teas and tinctures. 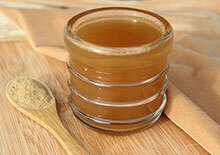 For congestion or digestive upset it is good to use with ginger, fennel and cinnamon. It also goes well with other leafy herbs like nettle, gotu kola, gynostemma, and ginkgo leaf that only require basic steeping methods. 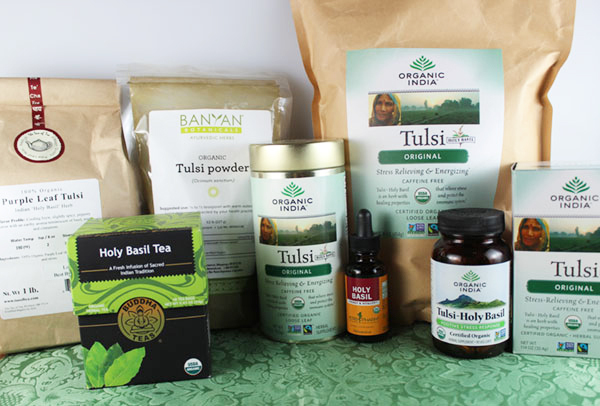 Liquid extracts or tinctures can likewise be added to hot teas, kombucha or other beverages. 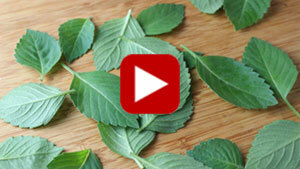 Can You Eat Holy Basil? Yes, fresh holy basil can be chopped into salads or used like culinary basil in pesto. It does have a stronger flavor, however, which may or may not be agreeable to all taste preferences. 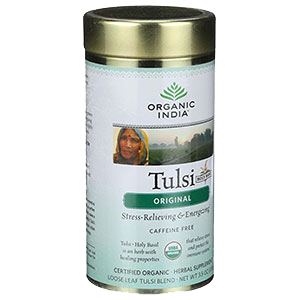 Tulsi is traditionally consumed with honey in tea or taken with ghee (clarified butter) in East Indian cultures. In ayurvedic terms it is balancing for Vata and Kapha, but may increase Pitta. Holy basil is a relatively inexpensive herbal superfood to purchase and it is also very easy to grow as a garden or potted plant. It can be germinated from seed, much like basil, in spring to summer time climates. 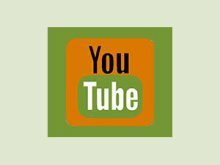 Online seeds packs are available here. Holy basil is warming to the body and should be avoided if excess heat or "high Pitta" conditions persist. Consult your health care practitioner if you are pregnant, breastfeeding or have serious health conditions and/or are taking prescription medications.